Upon entering the farm’s kindly paint-chipped doors, guests were greeted with freshly made Apple Cider and Apple Cider Butter samples. Having had the pleasure of tasting these treats, I certainly recommend you to stock up on either, or both, as staple items in your fall pantry. The farm store was filled with many more of this season’s favorites, ranging from turnips and cabbage, to sauces, mustards, grains and coffee that guests could hand-pick. McCutcheon’s and Mama Rosa were just two of many popular brands showcased at the festival. Despite this season’s early frost, the barren orchards were still no match for many eager hands. 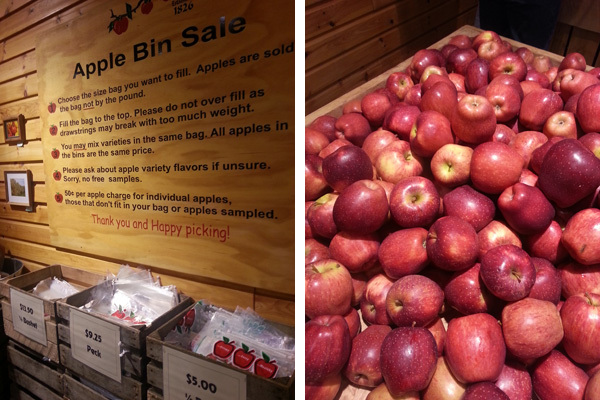 Guests enjoyed a bountiful apple selection harvested from the farm’s various other orchards, which were piled high in five separate bins. Alongside each bin stood couples, parents and children quarrelling over which of the apples would make the best sauces, pies and afternoon snacks. 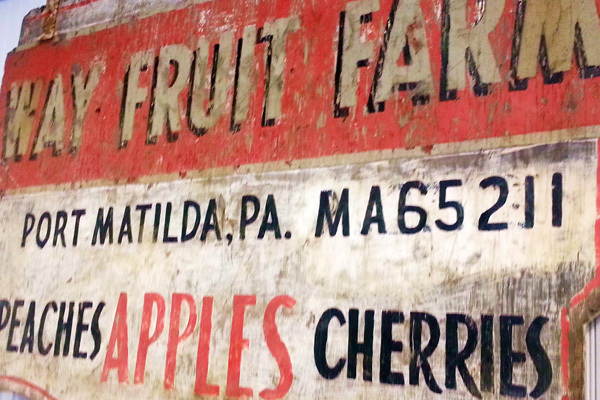 My personal favorites were the Red and Golden Delicious. 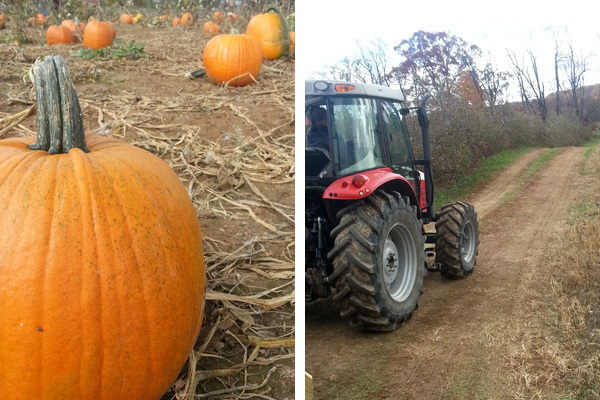 The festivities continued outside with dozens of crafter tents, an apple slingshot, free tractor ride, and pumpkin picking of massive proportions. Crafter tents provided everything from precious trinkets and specially designed purses, to house and health essentials like vitamins and pots. Guests moved straight from apple slinging to standing in the long, yet quick-moving, tractor ride line where many chose pumpkins weighing from 30 to 90 pounds. Even with a little wind and rain, it shaped up to be a beautiful day full of warmth and laughter. 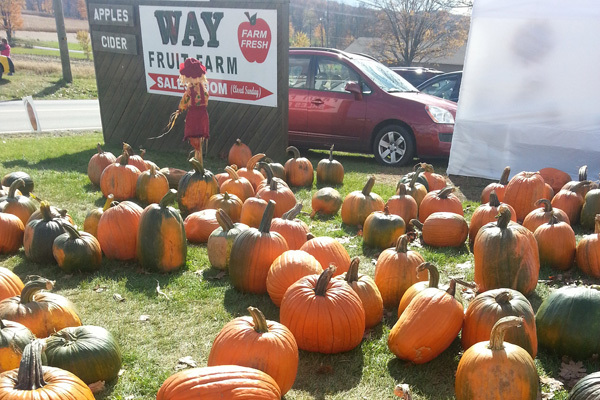 The Way Fruit Farm is open every Monday through Friday from 8am until 7pm and Saturdays from 8am until 5pm. Check out their website for other festival and store details.